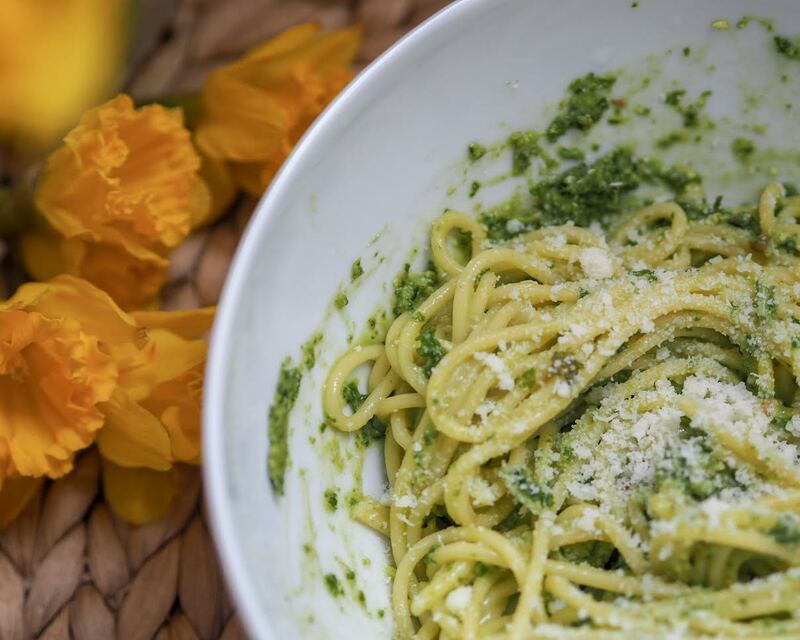 All day I dream of pasta, pasta in a silky delicious sauce and this bowl of kale pesto pasta is that dish! Seven, that is the magic number and the number of ingredients that you need to make my easy kale pesto pasta. I simply adore this dish, it takes no time at all, best for a quick healthy hearty weeknight meal. When I’ve had a busy week with work and not managed to get round to do a good shop it can be a bit like Russian roulette in the kitchen of what is actually there, I always have the basics, pasta in all its forms! So I know I’m guaranteed to be able to make something good and nutritious to eat, I’ve never made a pesto any version of that, to be honest, so own opening the veg drawer and saw a massive bag of kale, normally reserved for chips/crisps and a bulb of garlic I knew it was time for me to jazz up some pasta, so out came the blender and it is a game changer from there. For those that have kids, they know that it can be hard to get them to eat their vegetables but anytime Leanora sees green vegetables she is always popping into the basket as educating her on the importance of green vegetables and how they are a superfood, which she thinks will turn her into a super girl, plus getting the little ones involved with the whole cooking process encourages them to eat more of their vegetables. When I am looking for something light and fresh as well as quick to make, I always make sure that I’ve always the essentials on hand and today’s dish is just that. 1. Begin by switching your oven to 180c, once warmed half a bulb of garlic and roast it off for 8-10 minutes. 2. In a large pot, bring salted water to the boil for your pasta. Once it starts to bubble cook your pasta as per instructions on the packet. 3. 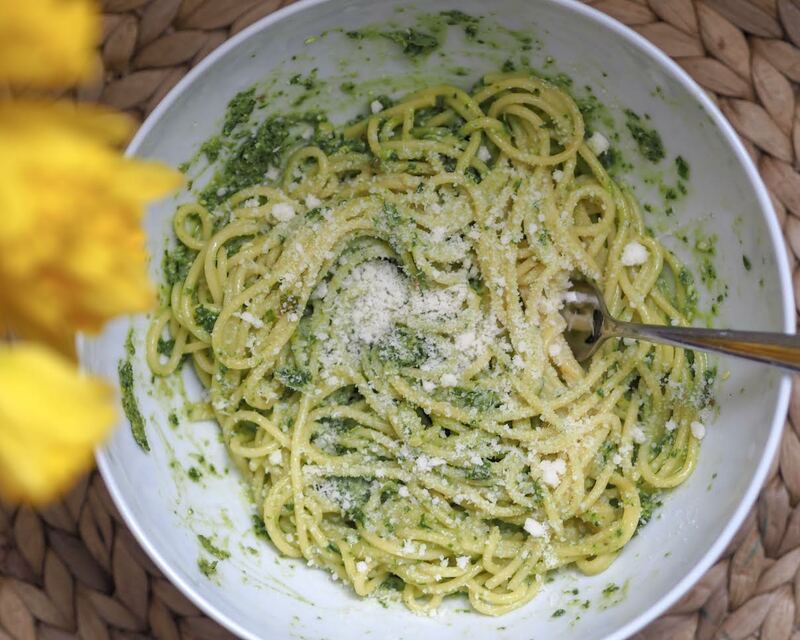 Combine all your ingredients for your kale pesto into your blender. Blitz, taste and season to your preference. 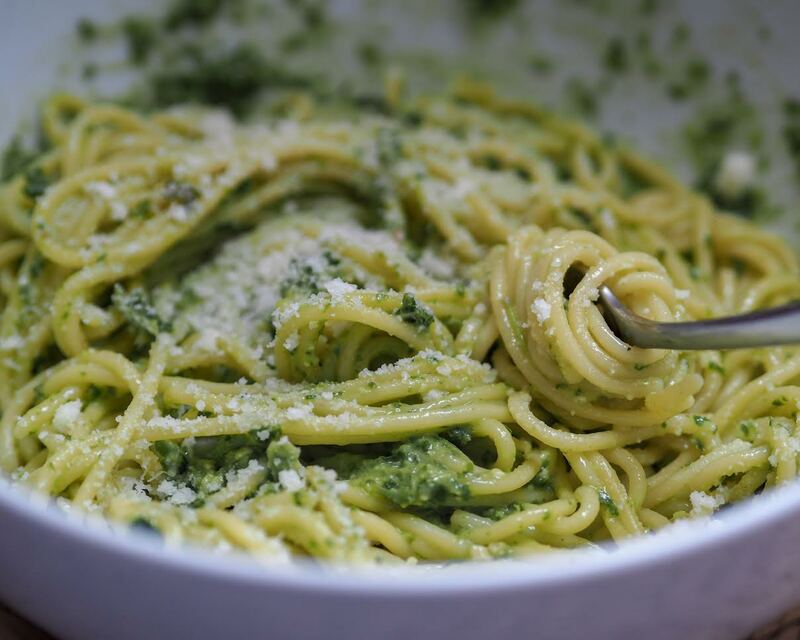 Take out and decant into a bowl then set the kale pesto to one side until needed. 4. 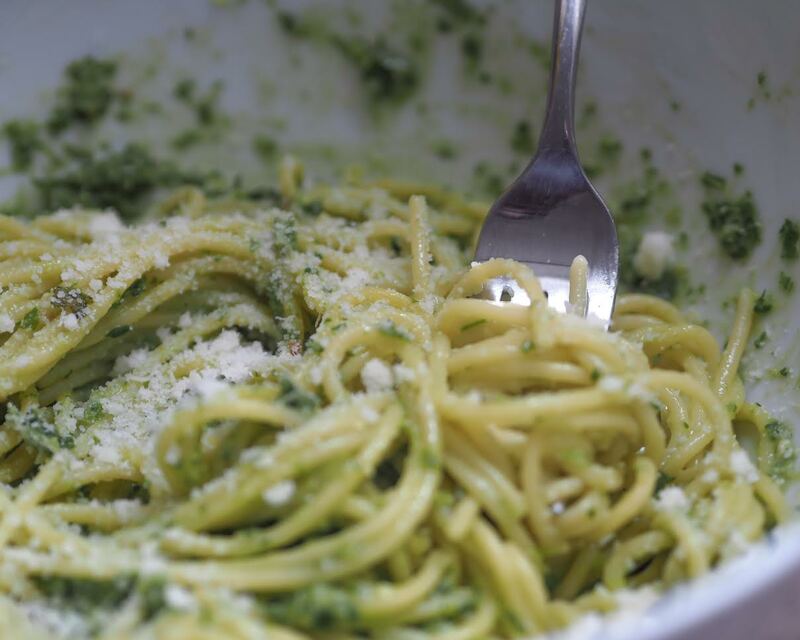 Drain the pasta and place back into the pot, take a 4 tbsp of your pesto and mix together. 5. Serve immediately with extra grated parmesan.